Judicial Reform. With what Judiciary will We See in 2011? Ukraine enters the New Year with a substantially reformed judiciary. On 7 July 2010 the new On the Judiciary and Status of Judges Act of Ukraine (hereinafter — the Act) was adopted by the Verkhovna Rada (Parliament) of Ukraine, which marked judicial reform in Ukraine (hereinafter — Reform). Most of the provisions of the Act came into force from the date of its promulgation, i.e. on 30 July 2010. There are also provisions which became binding from 1 January 2011, e.g. the introduction of the automatic case-flow and case-assignment system. Reform does not relate only to the Act. 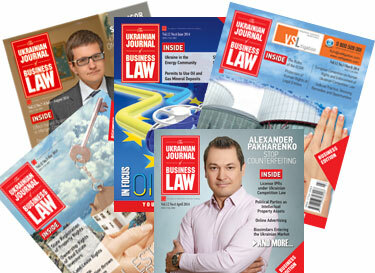 During 2010 Ukraine experienced a number of remarkable changes in the judiciary, among which the Act was the main one. Let us reasonably analyze all of them to be able to answer the question — with what judiciary will we go into 2011? The Act must be evaluated in the context of its adoption. It was never an issue that the judiciary in Ukraine needs to be reformed and the changes came in 2010. 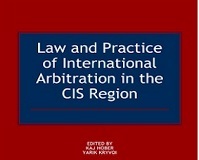 On 11 March 2010 the Constitutional Court of Ukraine rendered its decision in case No.8-рп/2010, in which it officially clarified the notions of “supreme judicial authority”, the “highest judicial authority” and “cassation”, which are given in Articles 125, 129 of the Constitution of Ukraine. In this decision the Constitutional Court of Ukraine elaborated that the Constitution of Ukraine implies only one time cassation and constitutional standing of the Supreme Court of Ukraine does not imply that it has legally granted powers of the cassation court with respect to decisions of supreme specialized courts which use their cassational authority. After adoption of this decision by the Constitutional Court of Ukraine it became clear that we should soon expect changes to procedural law and, in particular, this decision became the accelerator of judicial reform in Ukraine. At the same time, the Supreme Council of Justice became stronger and a more influential body, one with real power, which it openly demonstrated by dismissing judges one by one. 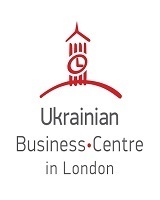 The status of the Supreme Council of Justice was strengthened after adoption of the On Amending Certain Legislative Acts of Ukraine in Relationship to the Prevention of Abuse of the Right to Appeal Act of Ukraine No.2181-VI of 13 May 2010. This Act positively envisages the possibility of challenging a decision of the Supreme Council of Justice in the administrative court. At the same time, the Act enacted the changes to certain provisions of the Administrative Procedural Code of Ukraine according to which the cases about objection of the acts, actions or inactivity of the Verkhovna Rada of Ukraine, President of Ukraine and the High Council of Justice are subject to the jurisdiction of the Highest Administrative Court of Ukraine, i.e. the latter became the first and the last instance which will handle such cases. Another change enacted by this Act, which were highly discussed, is cancellation of the possibility to secure the claim for invalidation of the acts of the above-mentioned bodies by suspension of their legal force. Thus, by the time of adoption of the Act the Ukrainian judiciary had got a stronger Supreme Council of Justice and weaker Supreme Court of Ukraine. This trend has been retained in the Act. Besides, according to the Order of the President of Ukraine No.811/2010 of 12 August 2010 On the System of Commercial Courts of Ukraine four commercial courts of appeal (Zhitomir, Zaporozhye, Lugansk Commercial Courts of Appeal and the Kiev Inter-region Commercial Court of Appeal) were liquidated and the Rovno Commercial Court of Appeal was created. Furthermore, a new territorial jurisdiction of commercial courts of appeal was approved by the order. For example, the territorial jurisdiction of the newly created Rovne Commercial Court of Appeal covers Vinnitsa, Volyn, Zhitomir, Rovno and Khmelnitski regions. There are different opinions as to the Act. Most commentators present a negative attitude toward the Act and the changes which it brought, in particular stressing that the Act, in fact, makes the judiciary more controlled by political powers in Ukraine. At the same time, attention must be drawn also to the number of positive, primarily in procedural issues, changes which the Act has brought. After numerous negative comments as to the Act were presented immediately after its approval, it is time to evaluate the Reform in a sober manner. — a number of changes to the procedural codes with the aim to shortening trials and diminishing the possibility of the parties using guerilla tactics during the proceedings. — the Act did not attain one of its aims — to guarantee a quick trial. — as long as the Supreme Council of Justice is not a body formed in accordance with European standards, it should not have the competence to appoint a court president and deputies. Thus, the Verkhovna Rada of Ukraine decided not to await delivery of the opinion of the Venice Commission and adopted the Act a few months earlier. As of today there are no signs that numerous recommendations of the Venice Commission will be taken into consideration and this is upsetting, as many of them are valuable and have also been expressed before by a number of scholars and practitioners in Ukraine and abroad. The Reform of the Ukrainian judiciary, which we experienced in 2010, enacted a number of changes and set a number of new rules for attorneys practicing dispute resolution, which must be taken into account. However, the Reform did not solve the key problems of the Ukrainian judiciary and even brought a number of a new discussions and dilemmas. What is really needed in order to reanimate the Ukrainian judiciary is to guarantee fast, impartial and effective trial in practice. But only manifestations of such aims are not enough, as are merely their establishment in law. Reforms will not end with adoption of new laws. Quite the contrary, the new law will only be the beginning, since without guarantees of due fulfillment of the law in practice the value of such a law is naught.